For more than two decades, I have been assisting families and individuals along the Wasatch Front and Nationwide in providing financial planning and services. I will listen, clarifiy and assist you in prioritizing your goals and aspirations before developing a financial strategy designed to help you achieve your vision for the future. My team and I know a good financial plan and will lay out what you need to do Today to achieve your goals Tomorrow. Click the picture above to learn more about my network of specialists and how they support our mission to help you acheive your goals tomorrow. 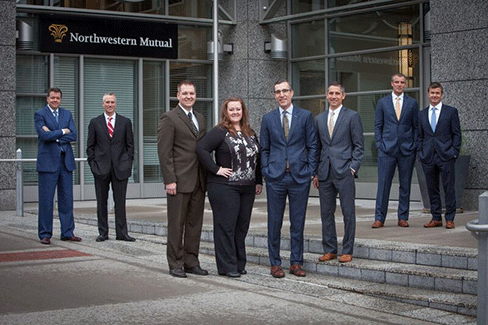 Backed by the strength of Northwestern Mutual, my team and I provide you with a balanced approach to help achieve your goal of financial security, assuring that your intentions have been understood and your needs are being addressed. And when it comes to implementing solutions, the full capabilities of Northwestern Mutual are leveraged to provide you with exclusive access to a comprehensive variety of products and services. Northwestern Mutual is the marketing name for The Northwestern Mutual Life Insurance Company, Milwaukee, WI (NM) (life and disability insurance, annuities, and life insurance with long-term care benefits) and its subsidiaries. APGardner Brown is a Representative of Northwestern Mutual Wealth Management Company®, (NMWMC) Milwaukee, WI (fiduciary and fee-based financial planning services), a subsidiary of NM and federal savings bank. All NMWMC products and services are offered only by properly credentialed Representatives who operate from agency offices of NMWMC. Representative is an Insurance Agent of NM, and Northwestern Long Term Care Insurance Company, Milwaukee, WI, (long-term care insurance), a subsidiary of NM, and a Registered Representative of Northwestern Mutual Investment Services, LLC (NMIS) (securities), a subsidiary of NM, broker-dealer, registered investment adviser and member FINRA (www.finra.org) and SIPC (www.sipc.org). APGardner Brown is primarily licensed in Utah and may be licensed in other states.